Early Bakes is an artisan cheesecake bakery dedicated to providing delicious single serve desserts. Early Bakes is an Atlanta based dessert company specializing in single serve sweet treats. 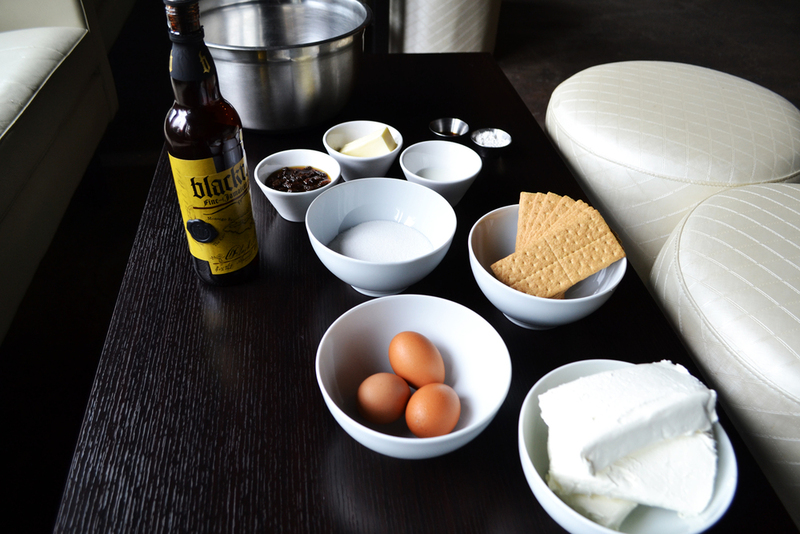 Our first recipe was derived from our Chef's personal favorite flavor, Rum & Raisin. 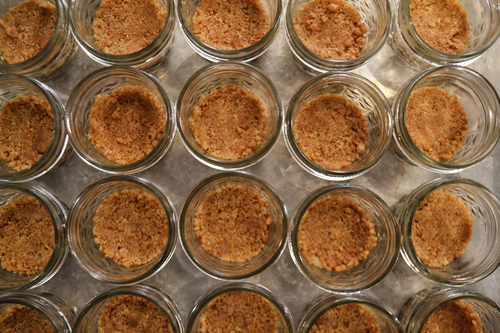 Each cheesecake is blended by hand to ensure smoothness and fullness in flavor. Our desserts are meant to brighten your day and keep you happy. The idea was to create single serve treats that can be taken on the go and enjoyed anywhere. 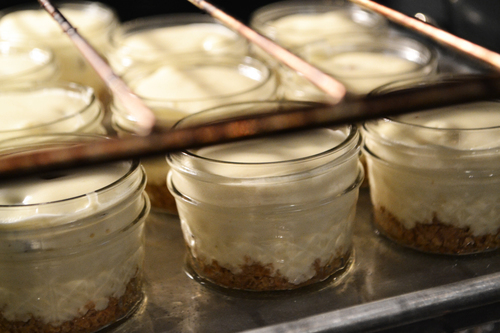 Each cheesecake is comprised of only premium ingredients for their more robust flavors and smooth textures. Our raisins are soaked for at least 24 hours in Blackwell fine Jamaican rum. The raspberry syrup is all homemade using organic raspberries and sugar. We pride ourselves on using organic vanilla extract, eggs, flour, and sugar. I'd been making cheesecake for a few years during the holidays and I've developed a recipe I felt provides for the most balanced flavor. It all starts with the right cream cheese. I tried making cheesecake with 4 different cream cheese before deciding on one. I chose a particular cream cheese for it's smoothness and richness. I then moved on to the eggs, flour, vanilla, sugar, milk. I choose organic ingredients because of their naturally healthier qualities. Deciding to create an artisan cheesecake bakery has been a long time goal of mine. 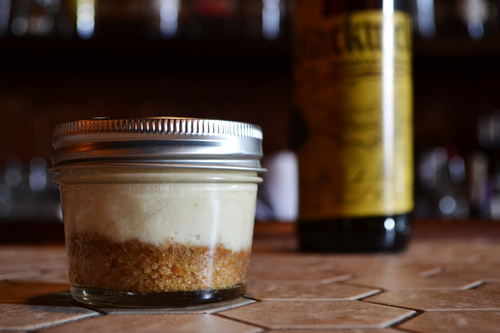 I love to make and eat cheesecake, so creating Early Bakes was a no-brainer. When deciding the flavors I wanted to release for launching Early Bakes I picked flavors I felt were bold, unique, and significant to me. The first one was Rum & Raisin. I started with the rum lol. I tasted 6 different rums before finally deciding on Blackwell Jamaican Rum. I love Blackwell because it's a gold rum with a flavor profile of a spiced. I have a personal attachment to the rum not only because my family is Jamaican but after working very closely with the spirit at Studio No.7, I wanted to continue working with the brand. It also doesn't hurt that my best-friend and co-owner of Studio No.7, Shannon Evans, is also the Brand Ambassador for the product here in Atlanta. Overnight I let the rum and raisins sit at room temperature to allow the rum to fully seep into the raisins. Naturally during the baking process the alcohol cooks off but the raisins hold the flavor of the rum. Coming up with my second flavor wasn't too hard since I knew what flavor profile I wanted. I wanted something sweet but not over powering. I decided to go with a white chocolate and raspberry cream. First I made a raspberry cream by blending fresh berries, milk, and sugar to flavor the entire cheesecake. After the cakes was baked the white chocolate stood out while the raspberries were less noticeable. 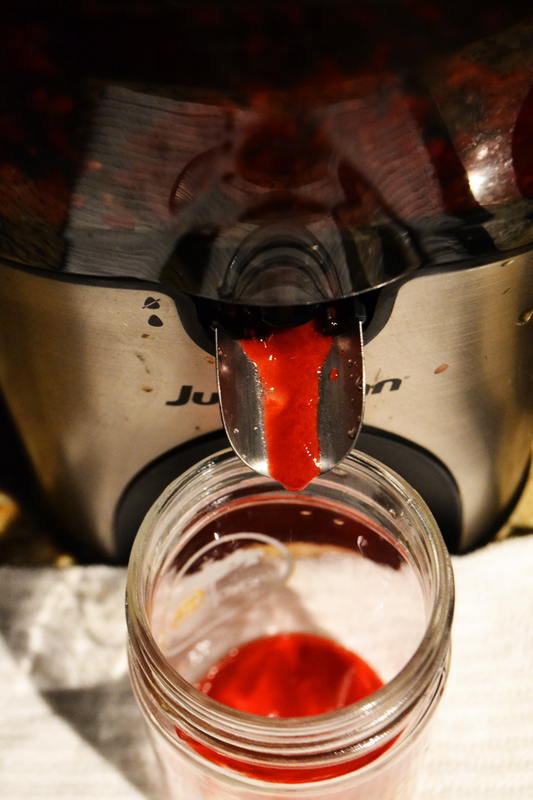 The next day I decided to juice fresh raspberries, remove the pulp, and make a syrup from the juice. I then added a mixture of both homemade raspberry syrup and pulp to the batter and found the flavor to be more noticeable and balanced. In addition to the cheesecake I'll be creating a raspberry syrup ideal for flavoring cocktails and drizzle for cheesecake.